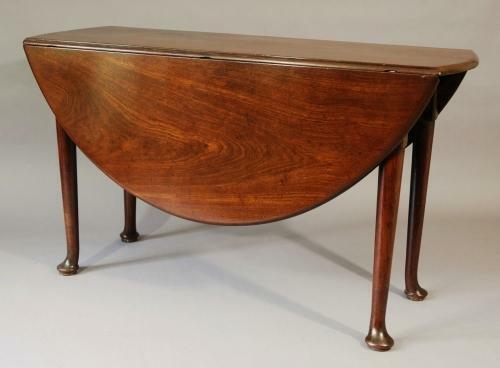 A mid 18thc solid Cuban mahogany circular pad foot table. This piece has a fabulous top of solid curl timber, with very figured grain. Underneath, the side rails have old restoration & have been replaced, due to damage or possibly worm. End rails are mahogany and are original.